Hovering over the project tab, you will see a few options, click “Add a Project” First thing you’ll want to do is click on the title to name your project. Then, right underneath the title you will select the organization that is assigned to this project. After that you will want to set the start and end date and the current status of your project. If you would like to give your project a specific color, you can do that by clicking on the color-wheel and selecting the color of your choice. Once that’s done, give your project its unique description and pin the users that will be working on the project. Click on “Add a Task”. Give the task a title, start and end date, description and estimated time the task will take. 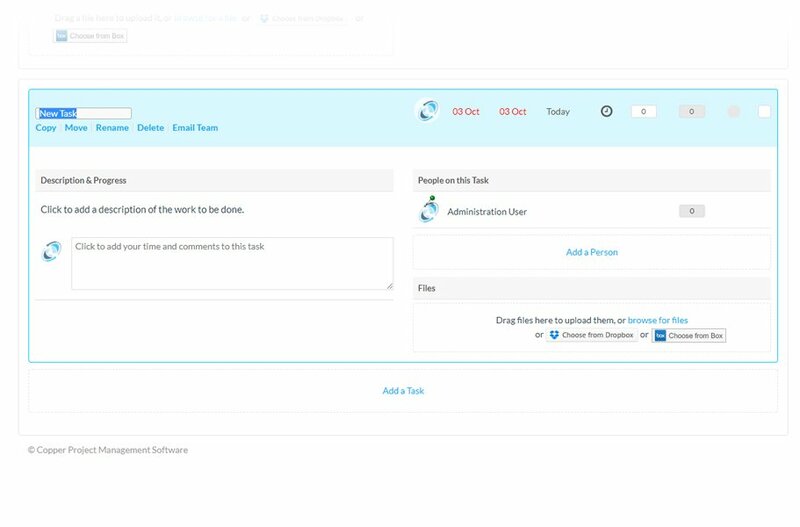 Then you will need to assign the user or users that will be working on the task. Also, if you have any files that are needed to complete this task, you can also add those here. 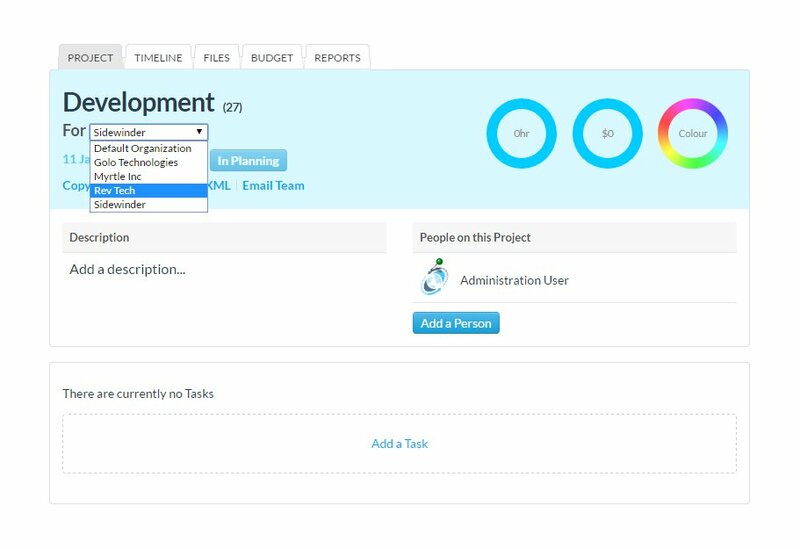 Continue to add as many tasks as needed for your project. If you want to create a hierarchy of tasks, you can move a task to being a child task by simply clicking and dragging the task over, underneath the parent task.